Make sure you add <[email protected]> to your safe sender list or address book. You might even want to create a rule that flags our emails as important. You don’t want to miss anything! New to Logic Pro or switching from another DAW? 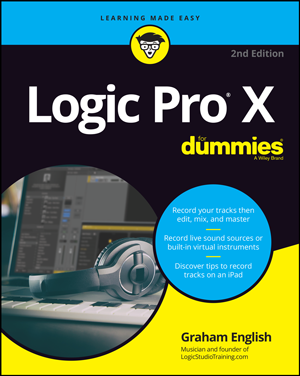 Here’s a Logic Pro 9 Beginner Guide and Logic Pro X Quick Start. You can browse The Complete Logic Pro. Read it front to back or skip around. It’s packed with great stuff and growing all the time! Premium members get access to ALL the content. Free members get SOME of it. We drop all kinds of tips on Twitter and Facebook. If there’s something you need help with personally, consider becoming a Premium Member.